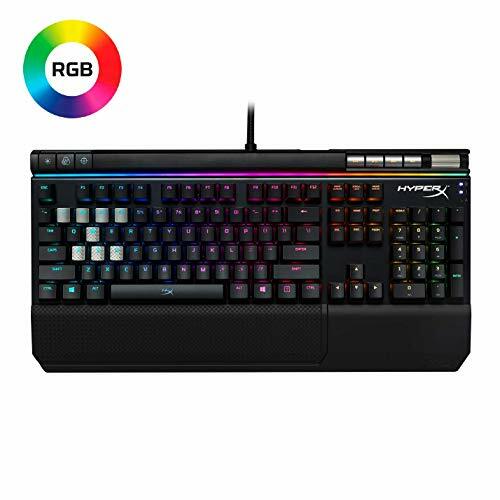 The HyperX Alloy Elite RGB is a full-featured RGB keyboard that has as much stunning style as it has substance. 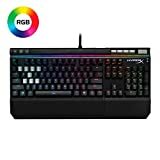 Customize your keyboard or individual keys with RGB lighting which is simply set up using the HyperX NGenuity software. 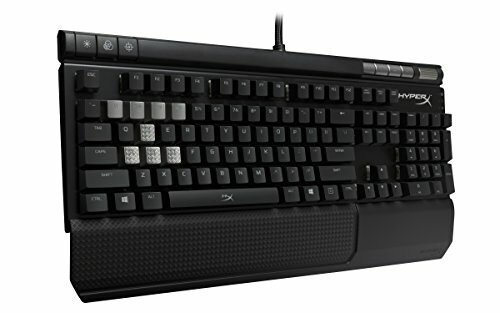 The solid steel frame helps ensure you'll have sturdy, stable controls in the midst of the most frantic action, while the Game Mode, N-Key Rollover, and anti-ghosting functions keep all your keypresses on point. 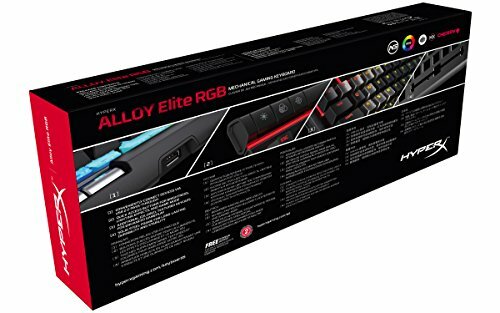 The Alloy Elite RGB comes built to satisfy any user's needs with dedicated media buttons, a USB 2.0 pass-through, quick access buttons, and your choice from a variety of reliable CHERRY MX key switches*. Once you've customized your lighting and effects just the way you want them, save your set-up directly to the keyboard's on-board memory. 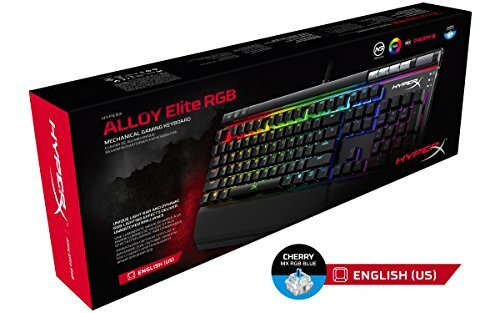 Alloy Elite RGB also features a comfortable, detachable wrist rest, and optional HyperX textured, titanium-colored keycaps designed to help you find the most important keys faster when every millisecond matters.